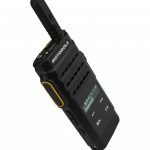 Motorola MOTOTRBO portable handheld two way radios are a great communications solution for a wide variety of industries, including education, healthcare, oil and gas, logistics, retail, manufacturing and more. 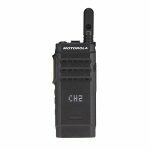 Whether you’re looking for a communications solution for a single location, a few locations or many, Motorola MOTOTRBO radios are designed for challenging environments and deliver cutting-edge software and greater value wherever they are deployed. 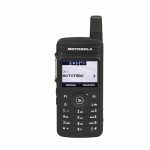 Motorola MOTOTRBO handhelds offer basic, mid-range, advanced and customizable features and capabilities to meet your communications needs. 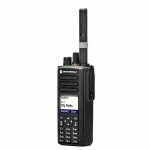 These solutions include ease-of-use, remote fleet management, text messaging, noise cancellation, advanced energy features, GPS positioning, indoor location tracking and an array of advanced energy saving solutions to help your teams be more safe, efficient and productive all day every day- whether they’re in the field at the factory floor or a hospital round. 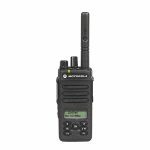 Need help finding the right MOTOTRBO digital two way radios for your organization? 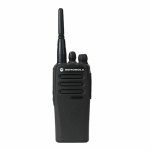 Our expert mobile and communications specialists can walk you through all the options we offer for Motorola commercial two-way radios.